Brighten up your child's room with this colorful decorative throw pillow. 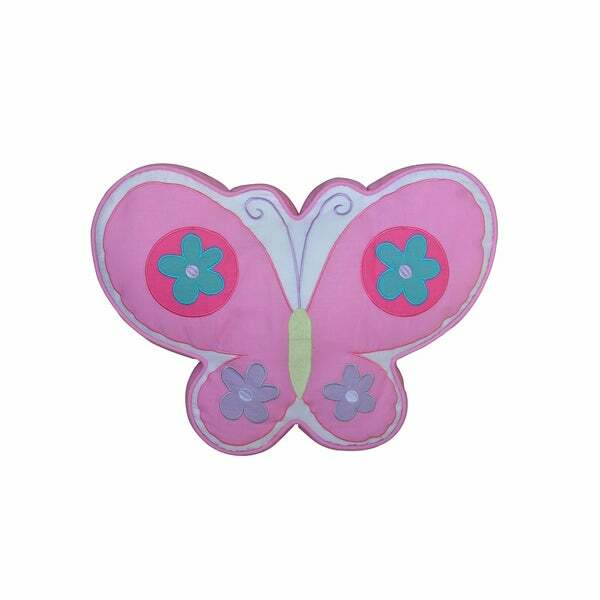 The fun butterfly design is sure to make this pillow any little girl's new best friend. The seams were not perfect and had pulls in some areas. There were stuffing materials all over the pillows when it arrived but was not a big deal. Overall, the pillow was bigger than I thought and is cute. The pillow was great quality and my daughter loves it. It completed her big girl bed look. Lovely accent piece for my granddaughter's room. She loves it! Well made and matches the bedspread purchased separately.